The Casa dei Bambini Montessori Children’s Center is located in the quaint town of Bow, New Hampshire. Conveniently situated off of I-89 and I-93 and just a short distance from downtown Concord. The environment offers a clean and bright space, with modern amenities and accessibility. There is a fenced in play area with the equipment needed to promote healthy, safe and enriching physical and large motor development. Our teaching, philosophy, and tools for learning are based on the traditional teachings of Dr. Maria Montessori. We offer a comprehensive full-day program for children 2.9 to 6 years of age. Children may be dropped off as early as 7:00 am and picked-up no later than 5:30 pm. The staff at Casa dei Bambini Montessori Children’s Center will offer exciting educational lessons, daily from 8:30 am until 3:00 pm. See also our sister school, Meeting House Montessori which offers partial day curriculum that follows an academic calendar. Children age 12 months to 3 years are introduced to a Montessori-inspired classroom through a variety of hands-on activities in a prepared environment at our affiliated program, The Tot Spot; located just 5 minutes away in Concord, NH. Contact us or visit Tot Spot for more information. Our staff believes in every child’s potential and will strive to encourage his/her individual growth. 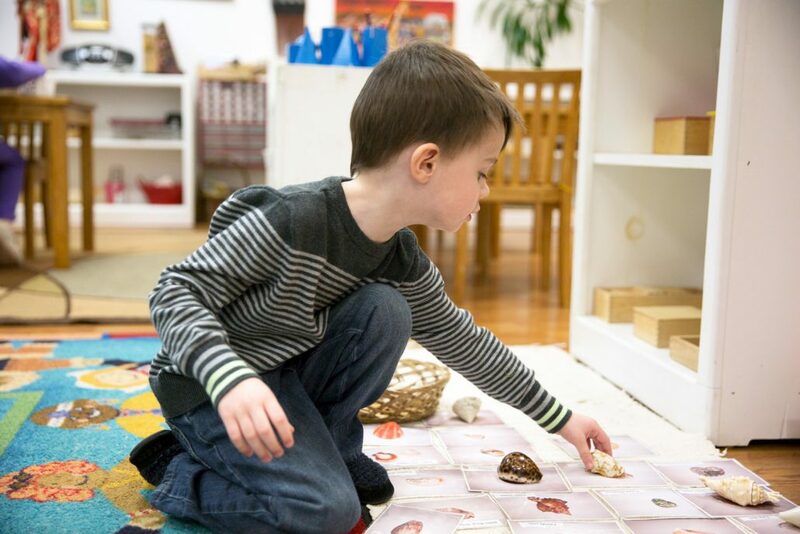 We focus our curriculum on Dr. Maria Montessori’s “Montessori Methods” and use the prepared environment to facilitate your child’s acquisition of all the ubiquitous knowledge that he or she can obtain. To schedule an appointment to tour the center please call 603-227-9300.